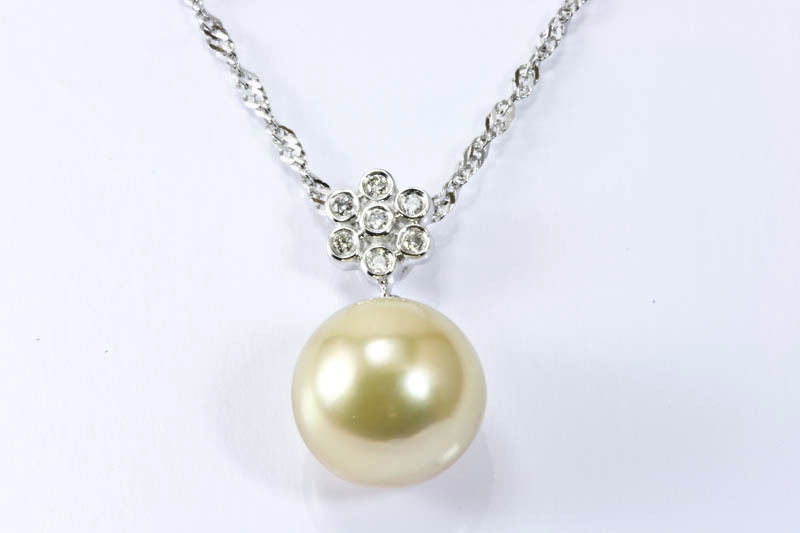 This is a very charming pearl pendant. 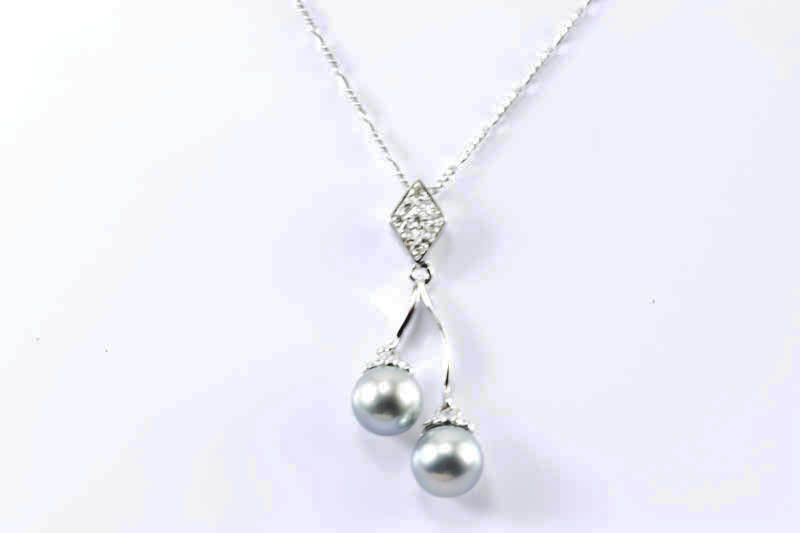 The diamond shaped 18K White gold pendant is mounted with 18 diamonds.two 7mm AAA grade Japanese Akoya silver gray cultured pearl is seted under the diamond shaped pendant. 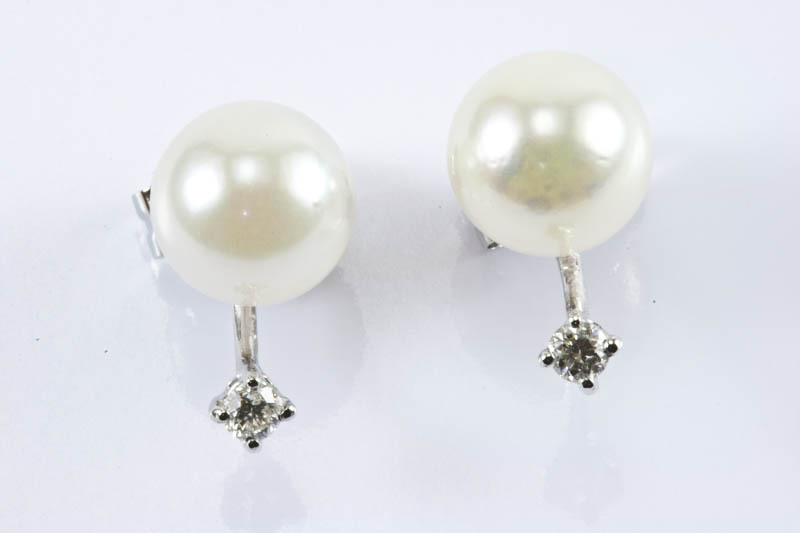 Pearl is natural silver grey color, measure 7mm in diameter, perfectly round shape, very high luster and very excellent surface, with rainbow overtones. 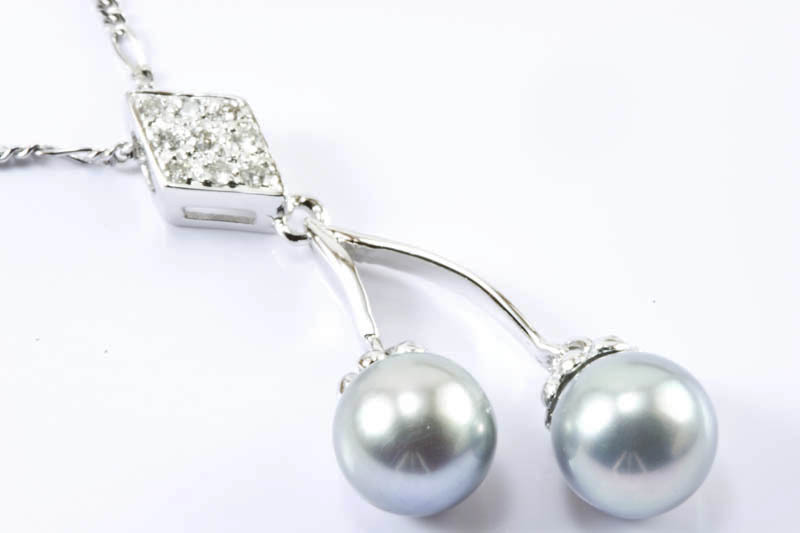 The brilliant diamonds are of G, H color, and SI1 clarity, 0.12 carat TDW (Total Diamond Weight). 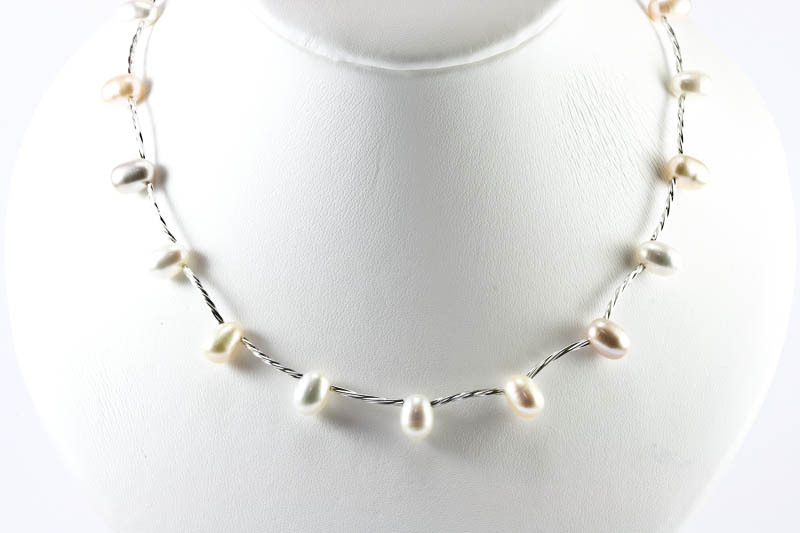 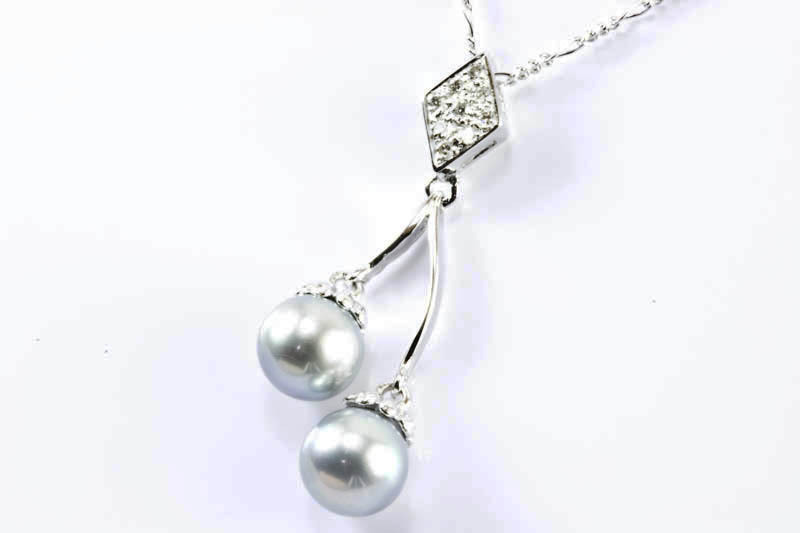 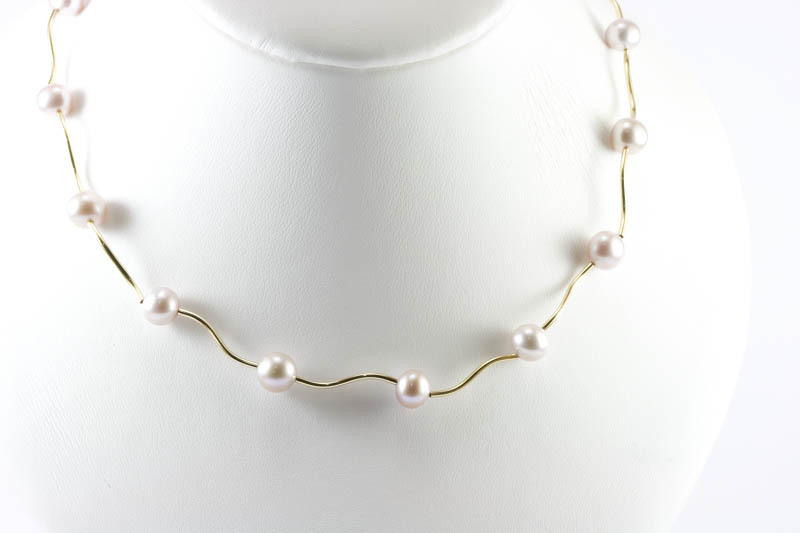 Indulge yourself or her with this exquisite pearl pendant and feel the world of important looking jewelry at your neck. 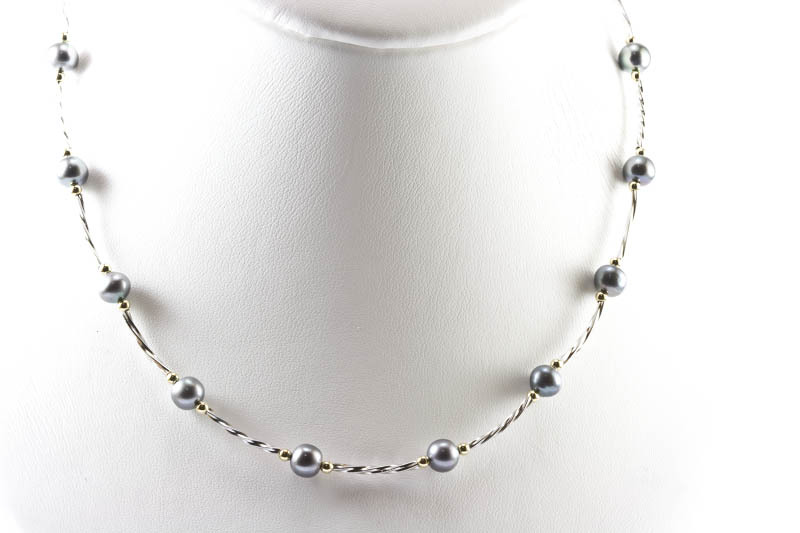 A 16" or 18" 18k white gold chain is your optional to choose with this pendant.